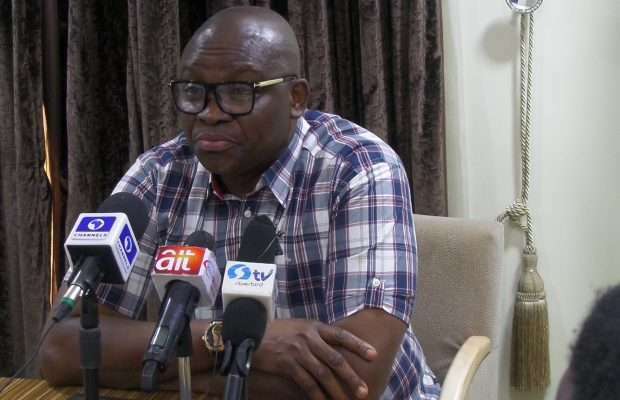 Fayose was reacting to the ongoing fuel scarcity across the country, which has worsened the hardship an average Nigerian experiences since the country's economy took a nosedive. He said the Federal Government is nonchalant about ending the fuel crisis. The Governor also called on Buhari to resign as Minister of Petroleum given his poor performance in that office. "It is obvious that the president has failed in all ramifications and he needs to do Nigerians a favour by relinquishing the portfolio of Minister of Petroleum", he said. He also maintained his earlier assertion that the Federal Government is punishing Nigerians with fuel scarcity so as to achieve its planned increment of petrol pump price from N145 to not less than N185 per litre. Fayose added, "Already, fuel is being sold officially at between N180 and N200 at petrol stations across the country." He reiterated that Nigerians must sack Buhari and the All Progressives Congress in 2019 to end the daily hardship they experience.